1. Li, D.; Babel, A.; Jenekhe, S. A.; Xia, Y. N., Nanofibers of conjugated polymers prepared by electrospinning with a two-capillary spinneret. Advanced Materials 2004, 16 (22), 2062-+. 2. Li, D.; McCann, J. T.; Xia, Y. N., Use of electrospinning to directly fabricate hollow nanofibers with functionalized inner and outer surfaces. Small 2005, 1 (1), 83-86. 3. Sun, Z. C.; Zussman, E.; Yarin, A. L.; Wendorff, J. H.; Greiner, A., Compound core-shell polymer nanofibers by co-electrospinning. Advanced Materials 2003, 15 (22), 1929-+. 4. Zhang, Y. Z.; Wang, X.; Feng, Y.; Li, J.; Lim, C. T.; Ramakrishna, S., Coaxial electrospinning of (fluorescein isothiocyanate-conjugated bovine serum albumin)-encapsulated poly(epsilon-caprolactone) nanofibers for sustained release. Biomacromolecules 2006, 7 (4), 1049-1057. 5. Jiang, H. L.; Hu, Y. Q.; Li, Y.; Zhao, P. C.; Zhu, K. J.; Chen, W. L., A facile technique to prepare biodegradable coaxial electrospun nanofibers for controlled release of bioactive agents. J. Control. Release 2005, 108 (2-3), 237-243. 6. Zhang, Y. Z.; Venugopal, J.; Huang, Z. M.; Lim, C. T.; Ramakrishna, S., Characterization of the surface biocompatibility of the electrospun PCL-collagen nanofibers using fibroblasts. Biomacromolecules 2005, 6 (5), 2583-2589. 7. Zhang, Y. Z.; Huang, Z. M.; Xu, X. J.; Lim, C. T.; Ramakrishna, S., Preparation of core-shell structured PCL-r-gelatin Bi-component nanofibers by coaxial electrospinning. Chemistry of Materials 2004, 16 (18), 3406-3409. 8. Mieszawska, A. J.; Jalilian, R.; Sumanasekera, G. U.; Zamborini, F. P., The synthesis and fabrication of one-dimensional nanoscale heterojunctions. Small 2007, 3 (5), 722-756. 9. Lu, X. F.; Wang, C.; Wei, Y., One-Dimensional Composite Nanomaterials: Synthesis by Electrospinning and Their Applications. Small 2009, 5 (21), 2349-2370. 10. Townsend-Nicholson, A.; Jayasinghe, S. N., Cell electrospinning: a unique biotechnique for encapsulating living organisms for generating active biological microthreads/scaffolds. Biomacromolecules 2006, 7 (12), 3364-3369. 11. Jiang, H.; Hu, Y.; Zhao, P.; Li, Y.; Zhu, K., Modulation of protein release from biodegradable core-shell structured fibers prepared by coaxial electrospinning. J. Biomed. Mater. Res. Part B 2006, 79B (1), 50-57. 12. Ma, M.; Krikorian, V.; Yu, J. H.; Thomas, E. L.; Rutledge, G. C., Electrospun polymer nanofibers with internal periodic structure obtained by microphase separation of cylindrically confined block copolymers. Nano Lett. 2006, 6 (12), 2969-2972. 13. McCann, J. T.; Marquez, M.; Xia, Y., Melt coaxial electrospinning: A versatile method for the encapsulation of solid materials and fabrication of phase change nanofibers. Nano Lett. 2006, 6 (12), 2868-2872. 14. Song, T.; Zhang, Y. Z.; Zhou, T. J.; Lim, C. T.; Ramakrishna, S.; Liu, B., Encapsulation of self-assembled FePt magnetic nanoparticles in PCL nanofibers by coaxial electrospinning. Chemical Physics Letters 2005, 415 (4-6), 317-322. 15. Zeng, J.; Xu, X.; Chen, X.; Liang, Q.; Bian, X.; Yang, L.; Jing, X., Biodegradable electrospun fibers for drug delivery. J. Control. Release 2003, 92 (3), 227-231. 1. Sun, Z. C.; Zussman, E.; Yarin, A. L.; Wendorff, J. H.; Greiner, A., Compound core-shell polymer nanofibers by co-electrospinning. Advanced Materials 2003, 15 (22), 1929-+. 2. Li, D.; Xia, Y. N., Direct fabrication of composite and ceramic hollow nanofibers by electrospinning. Nano Lett. 2004, 4 (5), 933-938. 3. Li, D.; McCann, J. T.; Xia, Y. N., Use of electrospinning to directly fabricate hollow nanofibers with functionalized inner and outer surfaces. Small 2005, 1 (1), 83-86. 4. Zhang, Y. Z.; Huang, Z. M.; Xu, X. J.; Lim, C. T.; Ramakrishna, S., Preparation of core-shell structured PCL-r-gelatin Bi-component nanofibers by coaxial electrospinning. Chemistry of Materials 2004, 16 (18), 3406-3409. 5. Lu, Y.; Jiang, H. L.; Tu, K. H.; Wang, L. Q., Mild immobilization of diverse macromolecular bioactive agents onto multifunctional fibrous membranes prepared by coaxial electrospinning. Acta Biomater. 2009, 5 (5), 1562-1574. 6. Zhang, Y. X.; Rutledge, G. C., Electrical Conductivity of Electrospun Polyaniline and Polyaniline-Blend Fibers and Mats. Macromolecules 2012, 45 (10), 4238-4246. 7. Dong, H.; Nyame, V.; Macdiarmid, A. G.; Jones, W. E., Polyaniline/poly(methyl methacrylate) coaxial fibers: The fabrication and effects of the solution properties on the morphology of electrospun core fibers. Journal of Polymer Science Part B-Polymer Physics 2004, 42 (21), 3934-3942. 8. He, C.; Huang, Z.; Han, X.; Liu, L.; Fu, Q.; Hu, Y.; 黄争鸣; 韩晓建; 刘玲; 付强; 胡影影, Core-shell ultrafine electrospun fibers for drug release applications. High Technology Letters 2006, 16 (9), 934-938. 9. He, C. L.; Huang, Z. M.; Liu, L.; Han, X. J.; Donghua Univ, S. K. L. M. C. F.; Polymer, M., Electrospun core-shell PLLA nanofiber and its potential for drug release. 2005; p 708-712. 10. He, C. L.; Huang, Z. M.; Han, X. J., Fabrication of drug-loaded electrospun aligned fibrous threads for suture applications. Journal of Biomedical Materials Research Part A 2009, 89A (1), 80-95. 11. Miao, W.; Nan, J.; Su, C. B.; Jun, K.; Chao-Kai, C.; Mien-Chie, H.; Kuang-An, C., Electrospinning of silica nanochannels for single molecule detection. Applied Physics Letters 2006, 88 (3). 12. Xiaojian, H. A. N.; Zhengming, H.; Chuanglong, H. E.; Ling, L. I. U.; Yingying, H. U.; Qingsheng, W. U.; 黄争鸣; 何创龙; 刘玲; 胡影影; 吴庆生, Preparation and Characterization of Nylon-6/Poly(vinyl Alcohol) Ultrafine No-Woven Fabrics. Polymer Materials Science & Engineering 2006, 22 (6), 197-200. 13. Wu, H. J.; Fan, J. T.; Wan, X. F.; Du, N., One-step fabrication of branched poly(vinyl alcohol) nanofibers by magnetic coaxial electrospinning. J. Appl. Polym. Sci. 2012, 125 (2), 1425-1429. 14. Tang, C.; Ozcam, A. E.; Stout, B.; Khan, S. A., Effect of pH on Protein Distribution in Electrospun PVA/BSA Composite Nanofibers. Biomacromolecules 2012, 13 (5), 1269-1278. 15. Yu, D. G.; Chatterton, N. P.; Yang, J. H.; Wang, X.; Liao, Y. Z., Coaxial Electrospinning with Triton X-100 Solutions as Sheath Fluids for Preparing PAN Nanofibers. Macromol. Mater. Eng. 2012, 297 (5), 395-401. 16. Mickova, A.; Buzgo, M.; Benada, O.; Rampichova, M.; Fisar, Z.; Filova, E.; Tesarova, M.; Lukas, D.; Amler, E., Core/Shell Nanofibers with Embedded Liposomes as a Drug Delivery System. Biomacromolecules 2012, 13 (4), 952-962. 17. Liu, L.; Zhang, F. Z.; Hu, S.; Zhang, L. Q.; Wen, S. P., Preparation of Ultrafine Ethylene/Propylene/Diene Terpolymer Rubber Fibers by Coaxial Electrospinning. Macromol. Mater. Eng. 2012, 297 (4), 298-302. 18. Torres-Giner, S.; Martinez-Abad, A.; Gimeno-Alcaniz, J. V.; Ocio, M. J.; Lagaron, J. M., Controlled Delivery of Gentamicin Antibiotic from Bioactive Electrospun Polylactide-Based Ultrathin Fibers. Adv. Eng. Mater. 2012, 14 (4), B112-B122. 19. Wu, L. L.; Li, X. R.; Li, H.; Yuan, X. Y., Comparison of BSA Release Behavior from Electrospun PLGA and PLGA/Chitosan Membranes. Chemical Research in Chinese Universities 2011, 27 (4), 708-711. 20. Shih, Y. H.; Yang, J. C.; Li, S. H.; Yang, W. C. V.; Chen, C. C., Bio-electrospinning of poly(l-lactic acid) hollow fibrous membrane. Text. Res. J. 2012, 82 (6), 602-612. 21. Su, Y.; Li, X. Q.; Tan, L. J.; Huang, C.; Mo, X. M., Poly(L-lactide-co-epsilon-caprolactone) electrospun nanofibers for encapsulating and sustained releasing proteins. Polymer 2009, 50 (17), 4212-4219. 22. Kai, D.; Prabhakaran, M. P.; Stahl, B.; Eblenkamp, M.; Wintermantel, E.; Ramakrishna, S., Mechanical properties and in vitro behavior of nanofiber-hydrogel composites for tissue engineering applications. Nanotechnology 2012, 23 (9). 23. Drexler, J. W.; Powell, H. M., Regulation of electrospun scaffold stiffness via coaxial core diameter. Acta Biomater. 2011, 7 (3), 1133-1139. 24. Zhang, L.; Wang, K.; Zhao, Q.; Zheng, W. T.; Wang, Z. H.; Wang, S. F.; Kong, D. L., Core-shell fibrous vascular grafts with the nitric oxide releasing property. Science China-Chemistry 2010, 53 (3), 528-534. 25. Pakravan, M.; Heuzey, M. C.; Ajji, A., Core-Shell Structured PEO-Chitosan Nanofibers by Coaxial Electrospinning. Biomacromolecules 2012, 13 (2), 412-421. 26. 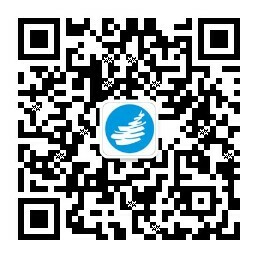 Yijie, L. I. U.; Yan, L. I.; Hongliang, J.; Yingqian, H. U.; Kangjie, Z. H. U.; 黎雁; 蒋宏亮; 胡应乾; 朱康杰, Nanofibrous Mats of Rigid Polysaccharides Prepared by Coaxial Electrospinning. Journal of Functional Polymer 2008, 21 (1), 20-24. 27. Yang, H. F.; Lightner, C. R.; Dong, L., Light-Emitting Coaxial Nanofibers. ACS Nano 2012, 6 (1), 622-628. 28. Deng-Guang, Y.; Ping, L.; Branford-White, C.; Jun-He, Y.; Xia, W., Polyacrylonitrile nanofibers prepared using coaxial electrospinning with LiCl solution as sheath fluid. Nanotechnology 2011, 22 (43), 435301 (7 pp. )-435301 (7 pp. )435301 (7 pp.). 29. Yang, J. C.; Lee, S. Y.; Tseng, W. C.; Shu, Y. C.; Lu, J. C.; Shie, H. S.; Chen, C. C., Formation of Highly Aligned, Single-Layered, Hollow Fibrous Assemblies and the Fabrication of Large Pieces of PLLA Membranes. Macromol. Mater. Eng. 2012, 297 (2), 115-122.